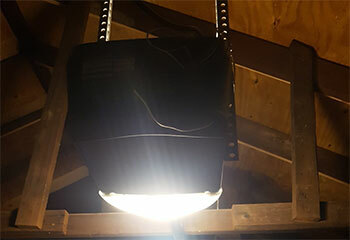 Are you looking to get a new garage door opener installed? Our expert technicians can help you chose the right model for your specific needs. Our latest projects below are excellent examples of what else we can do for you. 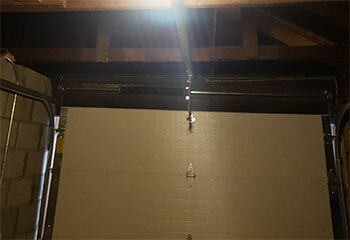 Customer Issue: An unsuccessful DIY repair attempt resulted in a garage door partly out of its track. Our Solution: Our team pulled the door back up and off its tracks and repaired the damage to the left section that had gotten bent. We then reinserted the door to the track from the top and reconnected the lift cables. After a few rounds of testing, they called it a successful operation. 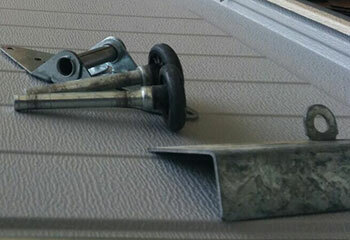 Our Solution: The customer’s rollers were over 10 years old and broke under the pressure. We replaced both with a brand-new set. After replacing it, we tested it ourselves and made sure the door opened smoothly and without any grinding noises. Our Solution: After a careful inspection, we found that only one of his torsion springs had broken, but we replaced both with premium quality ones as the second one also showed signs of deterioration. Then, we did a safety check to ensure the door opened and closed properly. 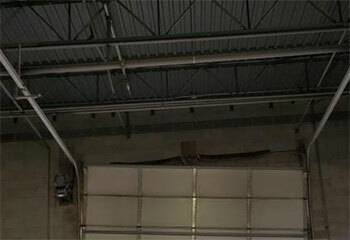 Our Solution: After offering several options, the customer chose a Chamberlain chain-drive opener to be installed. We got to work straight away, and made sure everything was running smoothly when we were done. Additionally, we made sure to give the customer some maintenance tips and walk him through the features.